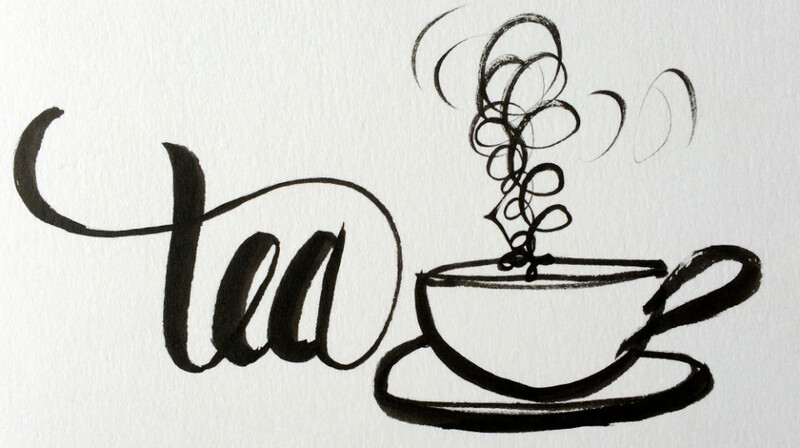 Tea and art are very connected for me, as I often enjoy drinking tea while creating art. I am a tea person, I drink somewhere on average 4 cups a day. I have a collection of many different kinds of teas, I’m not even sure how many, although more often than not you can usually find me drinking my orange pekoe tea with cashew milk and honey. 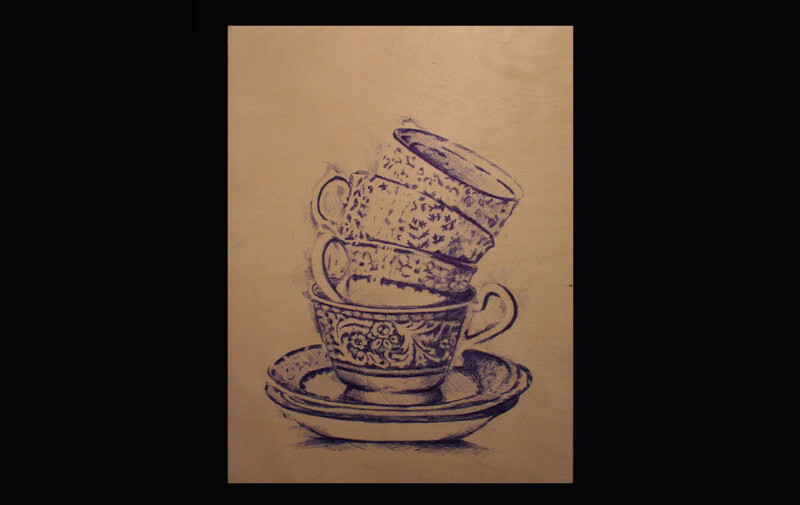 When it comes to creating art with the word tea in mind, I immediately thought of painting a stack of old teacups. I remember as a child always going over to my grandmother’s house and drinking my chocolate milk out of her old floral teacup. With the old flower teacups in mind, I then had to decide what medium I wanted to use. My usual medium is Paint, but this collaboration is a fun way to explore different mediums. With delicate old teacups my inspiration came from Jill Tuttle’s artwork (www.jilltuttle.com). 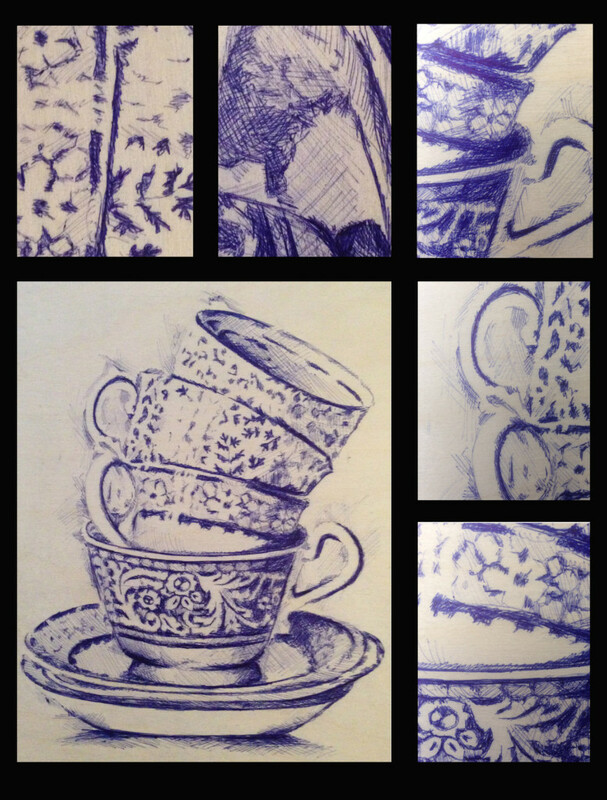 Jill uses pen to create very intricate and delicate Victorian style drawings for parts of her artwork. I am very excited to see what Daria add to this piece!